Updates to Rae Ann's profile since your last visit are highlighted in yellow. Ron and I celebrated our 50th anniversary Jan. 29, 17. Had a lovely reception given by our kids. 2 days later left on a cruise to Cozumel and Grand Cayman Islands...gift from our kids. Our oldest granddaughter, Paige, got married last October and in June she moved from St. Francis to OSF Medical Center, Blm. Now has her nights free. So we have added a new Grandson-in-law Joe Dennis. Darien grad. ISU in 3 years and is employed at State Farm. Their sister Chloe is a Sr. at EPG. Grandaughter, Madison works for the Streator Public Library and our other Granddaughter, Stephanie has now given us 2 great-grandchildren, Brookie, 4 and Ryder, 1 1/2. Our Grandson, Skylar works at 4 Seasons. Our two kids, Matt and Mandi, keep plenty busy with their families. We enjoy each and every minute we get to spend with them. The one thing that remains in my mind is it seemed every morning my homeroom class would check to see whether or not I was wearing Ron's class ring Ha, ha....the joke was on them. We have been married 50 years....and not one time has my wedding ring been off. (Mornings were just not Ron's best time back then.) Now he is a morning person and me, not so much, especially after retiring. Rae Ann Robb Geske posted a message. Happy Birthday, Denny! Ron and Rae Geske By the way I agree with Phyllis "not quite the "golden" years some people talk about. Have a great day!! Rae Ann Robb Geske has a birthday today. New comment added. Roger Shoup posted a message on Rae Ann Robb's Profile. Rae Ann Robb Geske posted a message. New comment added. 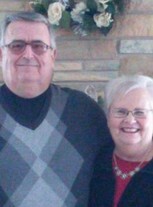 Rae Ann Robb Geske added a comment on WILLIAM H (Bill) Bliss' Profile. Rae Ann Robb Geske has left an In Memory comment for Mike Summers. I am so sorry to hear that Mike passed away. I don't get into our site very often and realize is has been several years since he passed. Mike was one of the kindest guys in our class...always ready to answer a question if you needed help. So intelligent and it sounds like he led a wonderful life personally and professionally. I am sure he is missed by everyone who knew him. 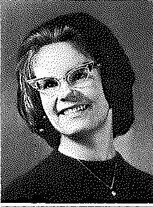 Rae Ann Robb Geske has left an In Memory comment for Norma Mohr Fuerst. Hi Bucky....just thought I would stop by to say hello and hope all is well with you. Rae Ann Robb Geske. Rae Ann Robb Geske posted a message on Judy Alvey's Profile. Hi Judy! It sounds like you have lived a wonderful God filled life. I can think of no better way to live our lives. I am sorry to hear you are now in a wheelchair, but I know that isn't stopping you from living your life for God Blessings to you, my friend! Rae Ann Robb Geske. Rae Ann Robb Geske has a birthday today. Rae Ann Robb Geske added a comment on her Profile. Rae Ann Robb Geske updated her profile. View. 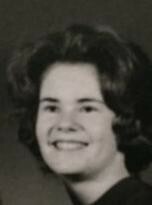 Rae Ann Robb Geske added a comment on Helen Hilton Cotner's Photo. New comment added. Rae Ann Robb Geske has left an In Memory comment for Tobi Schramm Millar. Tobi was one of the sweetest girls in high school. She never failed to smile and say Hi! in the hallway. She was so well loved by all who knew her. She was just adorable!! Rae Ann Robb Geske has left an In Memory comment for Joe Arendt. Joe was one of the first friends I made in high school. Joe and his wife, Becky and their daughter, Angie remained good friends to Ron and I thru the years. Angie and our daughter were and are very good friends. One thing I will always remember is the night our son, Matt and I took our church youth group to their home to sing Christmas carols. Joe was not feeling well at all, but he sure did enjoy those kids singing Christmas carols to them....a wonderful memory!! !